The Boxing Kings tells the story of the heavyweight title in the days when it was a defining institution in the United States. 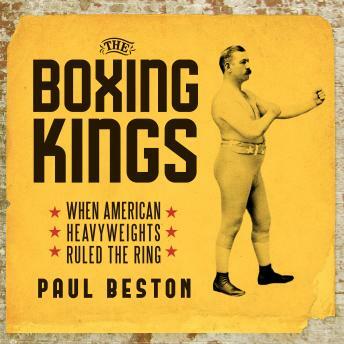 Author Paul Beston places special emphasis on those champions who held a central place in American culture beyond just in the boxing ring, including John L. Sullivan, who made the title a commercial property; Jack Johnson, who in 1908 became the first black man to claim the title; Joe Louis, whose contributions to racial tolerance and social progress transcended even his greatness in the ring; Rocky Marciano, who became an embodiment of the American Dream; Muhammad Ali, who took on the U.S. government and revolutionized professional sports with his showmanship; and Mike Tyson, a hard-punching student of boxing history who exemplified the modern celebrity. The gallery of champions also includes comics, dandies, bookworms, divas, ex-cons, workingmen, and a tough-guy-turned-preacher. The Boxing Kings treats these and other champions as three-dimensional human beings, flawed but sympathetic men placed on great public stages. As the title shifts from one claimant to another, their stories also open a window into the larger history of the U.S.